They say it’s all about location and there’s no denying The Compleat Angler bagsied a prime spot on the banks of the River Thames. 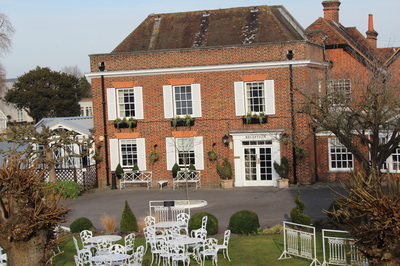 Situated across the suspension bridge from the Georgian town of Marlow, the hotel started life as a six-roomed inn called The Riverside. 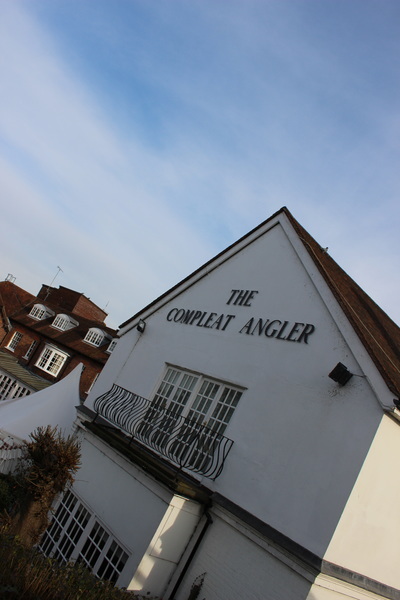 It changed its name in 1659 when author Izaac Walton came to stay and wrote his book The Compleat Angler, the second-most reprinted book in English after the King James Bible. 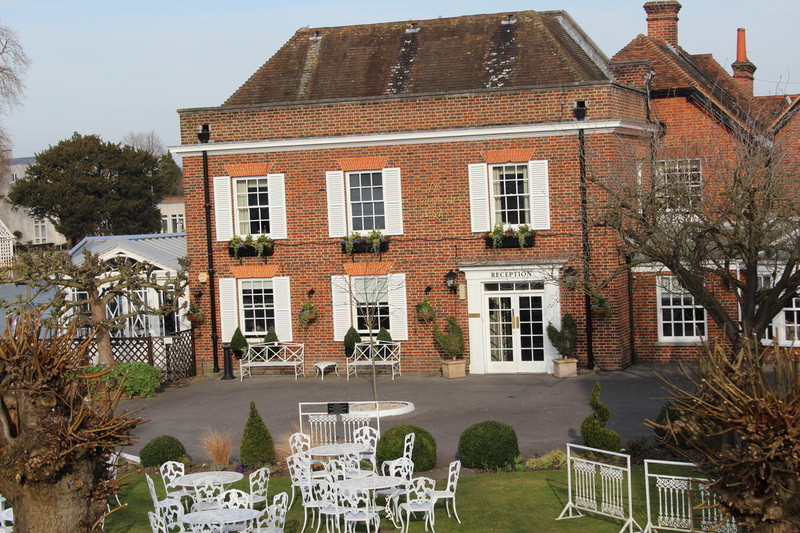 As the years passed, the hotel become a favoured magnet of the rich and well connected and was visited by celebrities including Noel Coward and Nancy Mitford – was there anywhere they didn’t pop up? 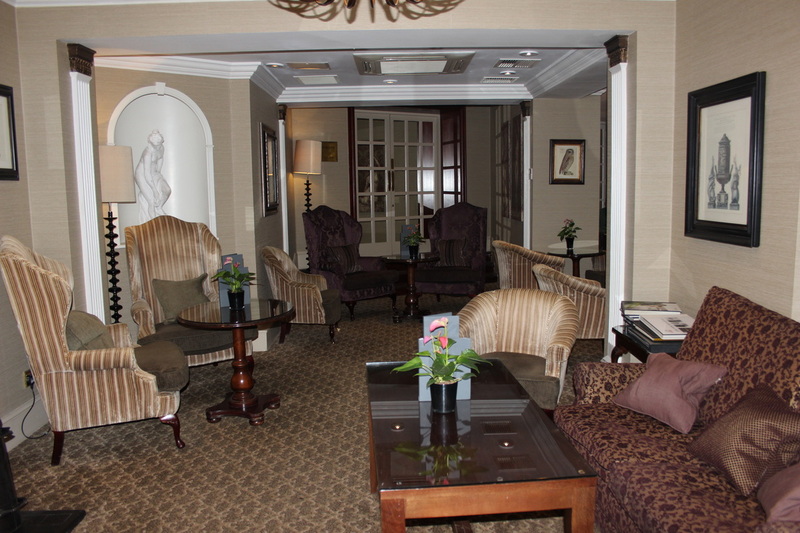 - and even HM The Queen, who once dined here with the president of Hungary. A substantial amount has recently been invested in a refurbishment programme which sees the hotel enter a new chapter in its long history. Interior public areas have been transformed into a stylish blend of contemporary design, though original features still remain. The centrepiece of the upgrade is the opening of the new Riverside Restaurant with its knockout views of Marlow weir and the Thames. The lobby area is inviting and having checked in, we were shown to our ‘Feature Four Poster’ room which came with oodles of space, 42” flatscreen tv, ipod docking station, Nespresso coffee machine, trouser press, private balcony and glorious views of the river cascading and crashing over Marlow weir. There were lovely thoughtful touches too, with the likes of crystal glassware and complimentary chocolate truffles. So far, so luxurious. The spotless bathroom with huge walk-in shower, separate bath, two sinks, white bathrobes and slippers, handy wall mounted magnifying mirror in case you want to have an extra close look at yourself and Molton Brown toiletries is glam central. Bathrooms even have heated floors, for that extra touch of luxury. The hotel also offers free unlimited WiFi powered by The Cloud. We soon discovered that wherever you go in this classy hotel with its grown-up atmosphere, there is an undeniable whiff of wealth in the air. This is A-star stuff. After enjoying a glass of bubbly on the balcony and greedily polishing off the chocolates, we decided to stroll into town, so unspoiled that it’s hard to believe London is only around 40 miles away. Small though this chi-chi town is, it has numerous claims to fame. It’s where 19 year old Mary Shelley created Frankenstein and is the one-time home of T.S. Eliot. Jerome K. Jerome who wrote part of ‘Three Men in a Boat’ in Marlow said of the town, “ ..... one of the pleasantest river centres I know of. It is a bustling, lively little town; not very picturesque on the whole, it is true, but there are many quaint nooks and corners to be found in it.” Then there’s its Rowing Club, founded in 1871, and one of Britain’s best, producing many Olympic oarsmen including Sir Steve Redgrave. Back in the hotel, it was time to see what the Riverside restaurant had to offer for dinner. Taking its name from the original Inn, the restaurant has two AA rosettes and offers modern British food. Guests can dine on the terrace when the weather is warm enough. There is a temperature controlled wine display area where guests can view and select their own wine to accompany their meals and also serves as a functional breakfast space for hotel guests in the newly re-roofed conservatory area. We opted for the eight course tasting menu, a many-splendoured thing of enticing sounding dishes. My vegetarian choices included white onion and Cheddar soup, truffle fermented risotto with crème fraiche and potato gnocchi with foraged mushrooms. Mike’s selections included breast of pheasant with winter truffle bubble ‘n’ squeak and salmon poached in brown butter with garlic mash. It was all exemplary, though we wished the waitress wouldn’t question us after every single course about whether we had enjoyed it. Still, she was a pleasant soul so a minor niggle really. After a comfortable night’s sleep under a squishy duvet and soft-as-kittens pillows, breakfast was another pleasure, a generous buffet plus cooked dishes for those who wouldn’t contemplate starting the day without the help of sturdier fare. But then all too soon, it was time to leave this lovely place, this slice of timeless elegance. It’s clear why this hotel packs in the punters. It’s top dog. 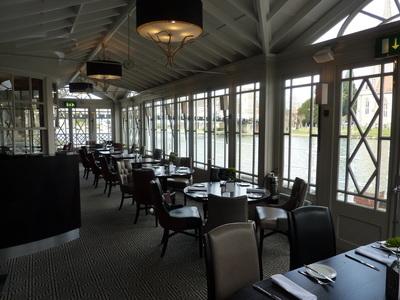 MacDonald Compleat Angler, Marlow Bridge, Marlow, Bucks, SL7 1RG; tel 0844 879 9128 www.MacdonaldHotels.co.uk/CompleatAngler (Part of the MacDonald Hotels’ Signature Collection).